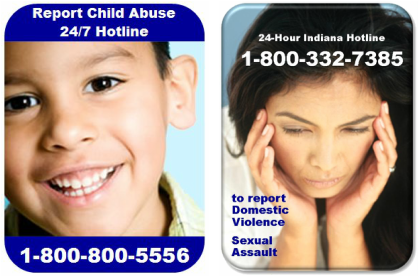 Holly’s House is a non-residential child and adult victim advocacy center serving individuals in southwest Indiana. We exist to empower victims of intimate crime and abuse by providing support, promoting justice, and preventing violence. The vision for Holly's House is to be a local leader in preventing intimate crime and supporting victims and their families, while bringing awareness to the community. Individuals who have experienced child abuse, domestic violence or sexual assault can contact Holly's House to learn more about our services. I need a SAFE PLACE to stay. Who does Holly's House Help? Holly's House assists with Forensic Interviews and coordinates Supportive Services for individuals and their families members who have experienced child abuse, domestic violence or sexual assault. Services are provided in collaboration with community partners in the following nine southwest Indiana Counties: Daviess, Dubois, Gibson, Knox, Perry, Pike, Posey, Spencer, Sullivan, Vanderburgh and Warrick. Our Think First & Stay Safe child abuse prevention program is provided in collaboration with both public and private elementary schools in Gibson, Pike, Posey, Vanderbugh and Warrick counties. All of Holly's House services are free and available due to the generous support of our donors and community partners. If you are sharing any of the information on this website, please share it in its entirety, as it is published. Sharing small pieces of information could result in misunderstanding.